When you design your App, the most important thing is content. 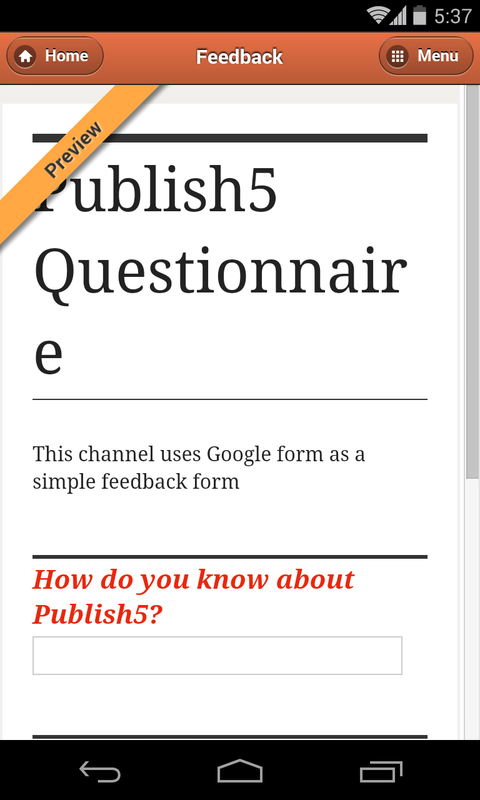 Publish5 provides two main of channels, "Dynamic Channels" and "Static Channels". You can now add a simple webpage to your App. There are many ways to utilize this channel, e.g. by simply adding a Google Form URL then you could have live feedback or order form for your users. If you decide to add a custom page from your website, remember to make sure it will scale dynamically on different mobile devices. Use this channel to show your videos on YouTube. Just enter the username and the channel will show your list of videos. Remember only public videos are listed. "Contact Info/About Us" - Add contact information, "about us", address and phone etc. 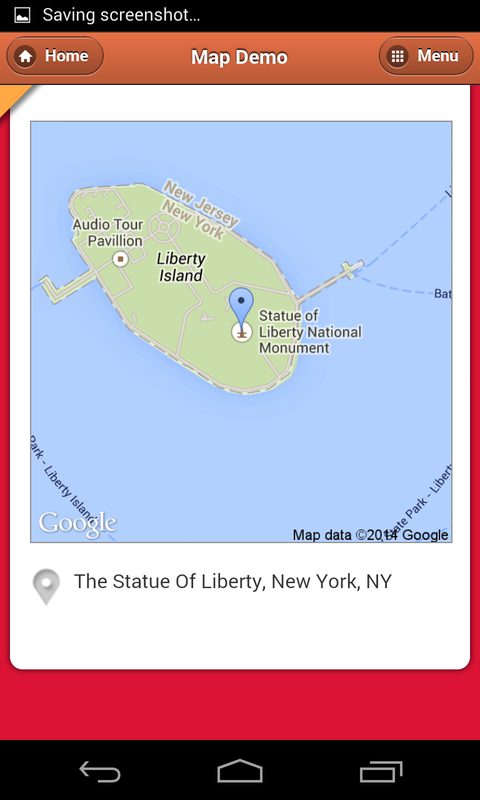 "Map" - Easily add a map to local business and include your contact number as well. "Photo Showcase" - Add a few photos to show your company, location, or anything related to your App. "Useful Links" - Add links that are relevant to your users, e.g. links to Facebook page, homepage etc. Designing your App on Publish5 is extremely easily, try and publish your App now! Why my feed Channel is not updating? We use Google Feed API to pull updates from your feed, if you find your channel is not updating, try to publish your feed or your blog to ping services like http://pingomatic.com, http://blogsearch.google.com/ping, feedburner.com etc.